Since its foundation in 1998 the (retro)digitisation and online publication of legacy dictionaries is one of the main foci of the Trier Center for Digital Humanities. In this way, the center has made a number of dictionaries available in the Trier dictionary network over the last 20 years, such as several Middle High German Dictionaries, the Deutsche Wörterbuch by Jacob and Wilhelm Grimm (first edition, the second edition is still work in progress), the Grammatisch-Kritische Wörterbuch der Hochdeutschen Mundart von Adelung, the Rheinische Wörterbuch, the Pfälzische Wörterbuch, the Wörterbuch der deutsch-lothringischen Mundarten, the Wörterbuch der elsässischen Mundarten, the Goethe Dictionary. Currently, more than 20 dictionaries are available in the Trier Dictionary Network. 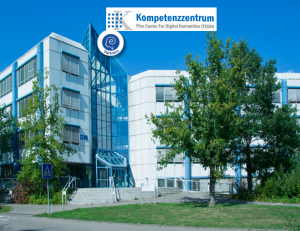 Thus, the center has a lot of experience in the entire digitisation process (full-text digitisation via double keying, semi-automatic encoding in XML according to the TEI guidelines) and in the online publication of dictionaries. Furthermore, it is used in teaching, training, and introducing the theory and practice of converting printed dictionaries into electronic form, lexical data modeling and dictionary encoding according to the TEI. 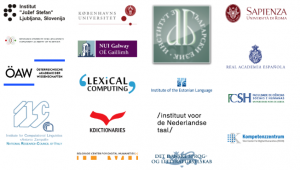 The center is one of six partners in Germany in an initiative aiming at the building of an eHumanities Centre for Historical Lexicography, called ZHistLex (funded by the German Federal Ministry of Education and Research). Based on dictionary and corpus data that are already available in the collaborating institutions, ZHistLex aims at developing generic methods for the integration, presentation and use of data in digital lexicographical systems, and to collect these methods in a research portal that will also be available for future research. Aims of the project are among others a portal, web-services, a metadata scheme for an overall bibliography of dictionary sources, an example illustrating the bidirectional linking of quotations in a dictionary with their full-text digitized sources, and use cases illustrating word family structures across epochs. In the long-term perspective, ZHistLex will establish a centre for historical lexicography that develops innovative methods and techniques in the realm of historical lexicography and offers service, advice and support in this field.